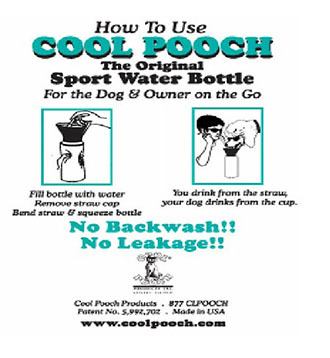 The Cool Pooch Provides a separate and convenient water supply for both dog and owner. 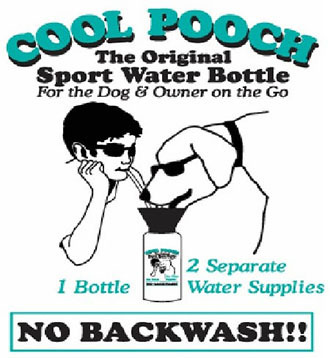 The Cool Pooch sport bottle is a must have for car trips, fits all cup holders. Won’t leak or break if you drop it. Combine the sport sac with adjustable shoulder strap, you’re hands free!